Elimination of a task with ergonomic problems. Thanks to its compact design, it adapts easily to the existing layout. Low level of maintenance due to having minimised the integration of mechanical elements subject to wear and tear and/or faults. It allows for a quick response to replanning of production. D-PaL allows to automatically depalletize stacks of signatures. In this way you can speed up production and reduce costs by automatically feeding the paperback or hardback line. 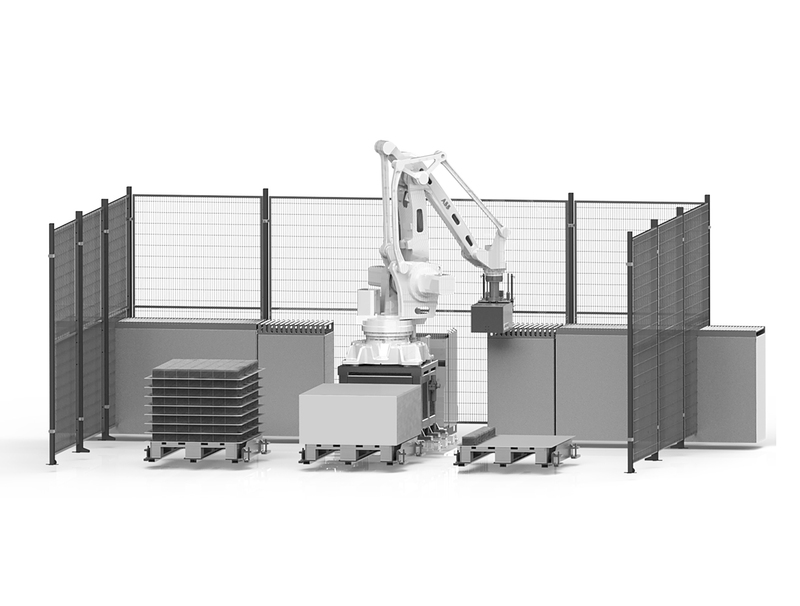 Introducing just three parameters on the screen, the robot completely depalletizes the pallet, positioning the separators in another independent pallet. Once the process is finished, the operator removes the empty pallet, placing another one full of stacks of signatures. As an option, a buffer to avoid wasting time during pallet changing processes can be installed. PaL allows to automatically palletize stacks of signatures. In this way you can speed up production and reduce costs automating the exit of a folding or a sewing machine. 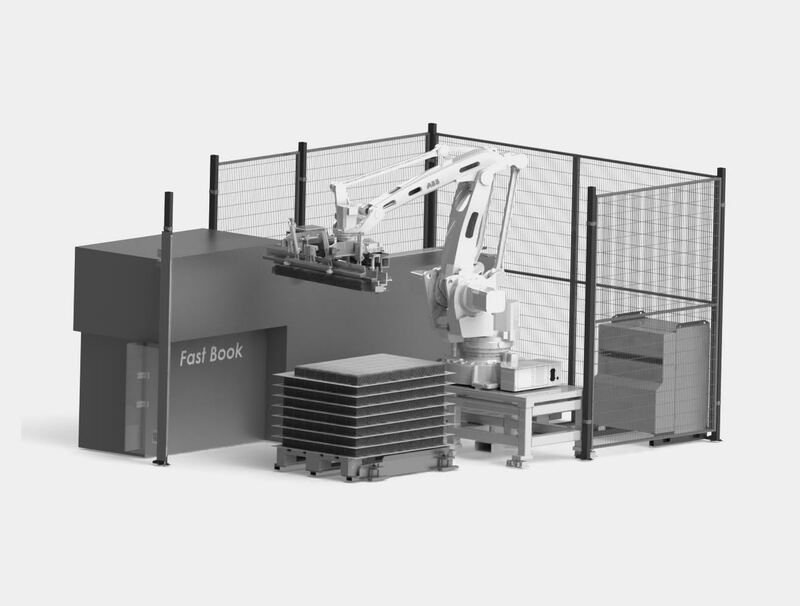 Introducing just three parameters on the screen, the robot completely palletizes the pallet and place the separators between layers. Once the process is finished, the operator removes the full pallet, placing an empty one.